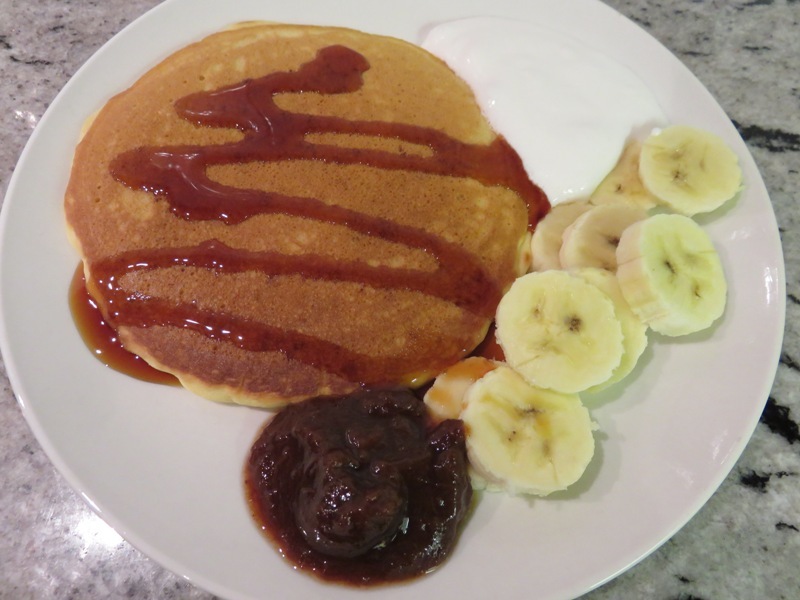 Super easy vegan pancakes, with easy to come by ingredients. Mingle the dry ingredients (flour, sugar, baking powder, salt). Mix in the soy milk and canola oil. Put a big drop of batter in heated pan. Bake for about 2-3 minutes till bubbles form, then flip to bake other side.